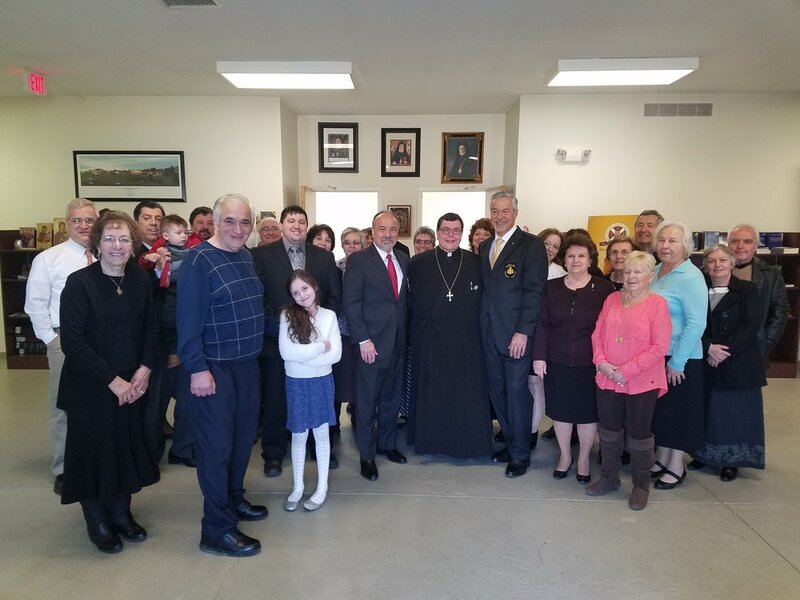 VALPARAISO, IN: The Metropolis of Chicago Regional Commanders of the Greek Orthodox Order of Saint Andrew (Archons) Gus Pablecas and John Manos visited St Iakovos Greek Orthodox Church in Valparaiso on today. 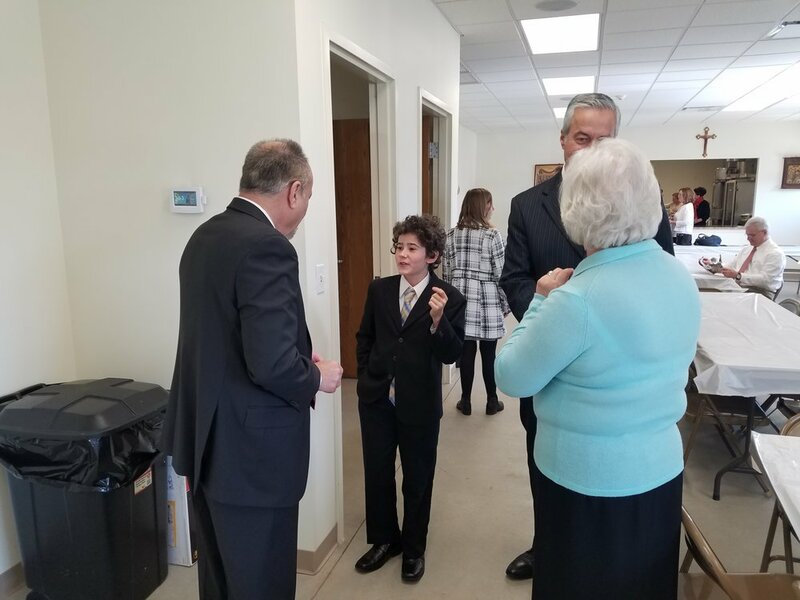 Following Sunday Services they gave a presentation to the congregation, which totaled over 100 parishioners, concerning Indiana Senate Resolution 2. Indiana Senate Resolution 2 is currently making its way through the Indiana State Senate. 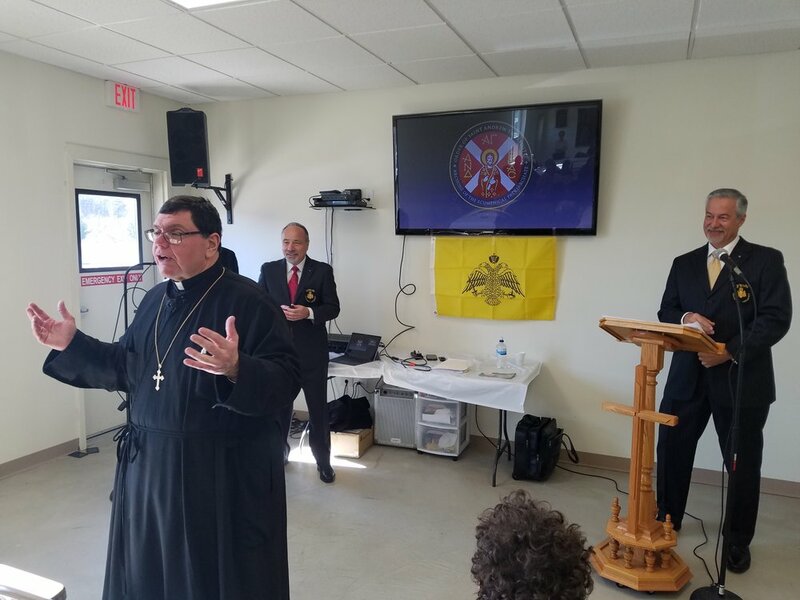 As part of this presentation, the Regional Commanders also covered theFive Core Issues facing the Ecumenical Patriarchate. Indiana Senate Resolution 2 is a simplistic resolution declaring support for the Ecumenical Patriarchate of Constantinople and calling on the Turkish Government to ensure the Religious Freedom of this global religious leader. Indiana Senate Resolution 2 is part of larger initiative by the Archons to gain passage in each State of the Union to bring more awareness to the issues facing this historical religious institution. To date, 45 states have seen passage by the State House of Representatives and Senate as well as gaining the support of the Governor. Greek Orthodox parishioners in Indiana are under the jurisdictions of the Metropolis of Chicago (Northwest Indiana) and the Metropolis of Detroit. They announced in September of 2016 a new joint initiative to gain passage in Indiana of this important resolution which calls for Religious Freedom for the Ecumenical Patriarchate of Constantinople, spiritual leader of Eastern Orthodox worldwide. Similar resolutions have already been passed by 45 states, including all states neighboring Indiana, as well as the United States Congress and European Union and has received the full support of Pope Benedict, Pope Francis, former President Bill Clinton, former President George W. Bush and former President Barack Obama. Indiana Senate Resolution 2 is the beginning of this process to make Indiana the 46th state to pass this important resolution during the 2017 Indiana Legislative Session. 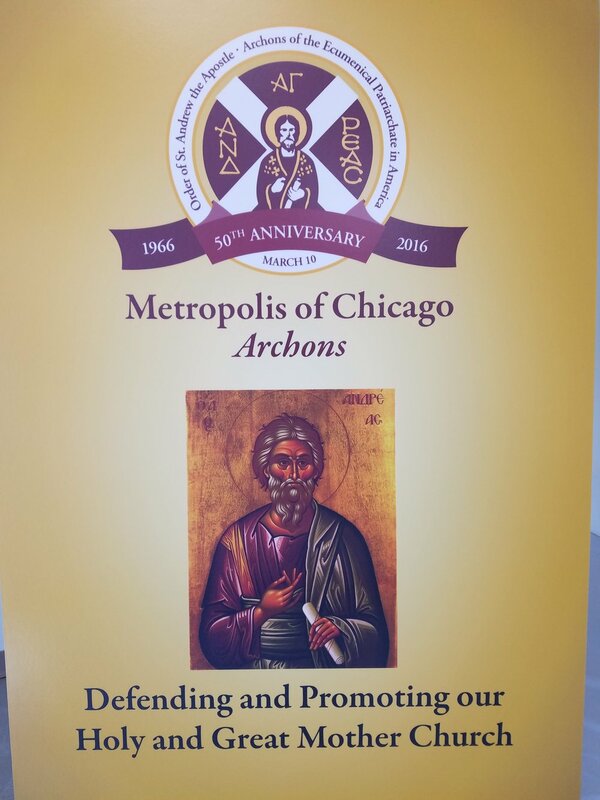 Since accepting the post of Regional Commanders for the Metropolis of Chicago, both John G. Manos and Gus M. Pablecas have made it their mission, with help from fellow Archons within the Metropolis of Chicago, to spread the word of the Order of the Archons by establishing an initiative that teaches about religious freedom to lay people within the Metropolis of Chicago. 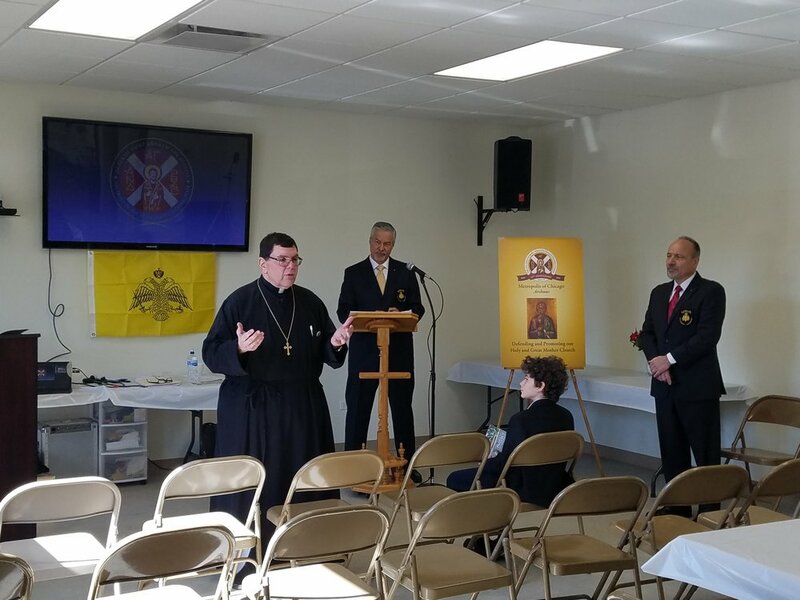 A primary method of spreading the word has been the establishment of Religious Freedom Symposiums that delve into how the Archons are defending and promoting the Ecumenical Patriarchate of Constantinople. As part of this initiative, the Regional Commanders have developed a PowerPoint presentation on the Five Key Issues of the Ecumenical Patriarchate to coincide with their parish visits to speak with congregants. 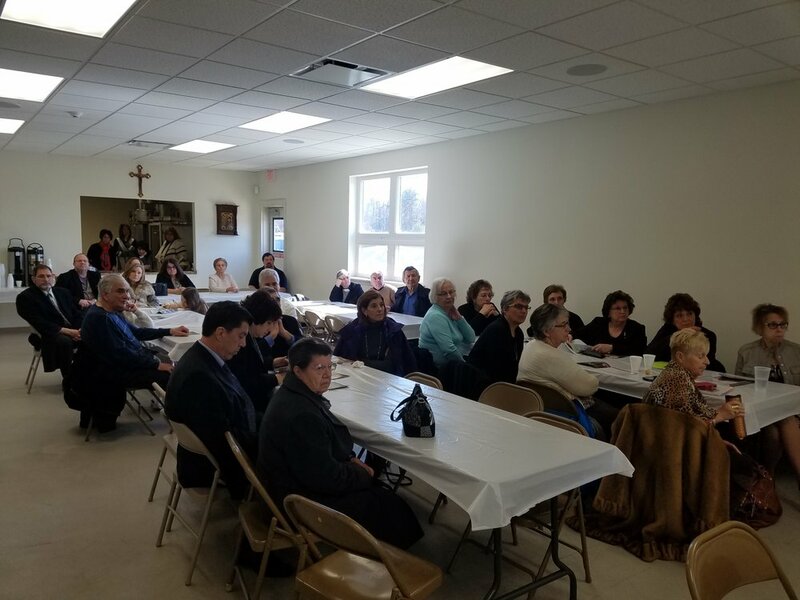 Their ultimate goal through this initiative is to reach out to all parishes in the Metropolis of Chicago to spread the word about Religious Freedom and the plight of the Ecumenical Patriarchate. Eastern Orthodox Christians are the second largest Christian faith tradition worldwide. The Metropolis of Chicago oversees all Greek Orthodox Parishes within Illinois, Iowa, Wisconsin, and Minnesota, as well as eastern Missouri and northwest Indiana. You can find more information on the Greek Orthodox Metropolis of Chicago on our website: www.chicago.goarch.org. More information on the Order of Saint Andrew and their Religious Freedom Resolution Initiative can be found on their website: www.Archons.org. More information on St Iakovos Greek Orthodox Church in Valparaiso, Indiana, can be found at www.SaintIakovos.org.